I saw this while browsing pictures at Jamaican based dances. The photographer was just as amazed and in awe as I am when I saw it. I have no idea how this style is created. 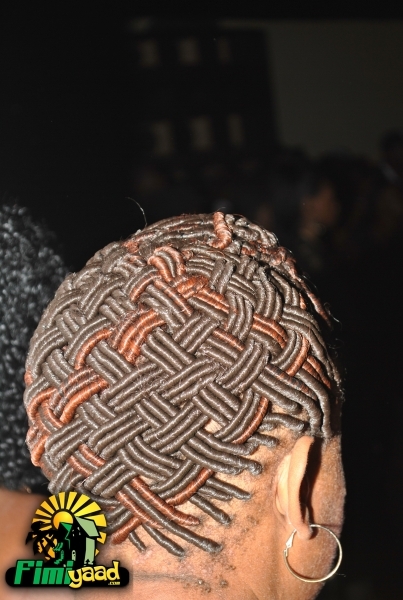 Maybe some silky loc’s basket weave. I don’t know but it looks very pretty. I can imagine many heads turning to stare and wonder at this beauty.